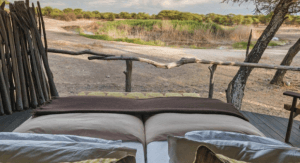 Situated next to Kenya’s Maasai Mara National Reserve, Mara Plains Camp is located on the bend of the Ntiakitiak River right next to Kenya’s Maasai Mara National Reserve. The camp itself is nestled within one of the richest ecosystems in the world, and ancient Swahili heritage is reflected in its large wooden doors from the coastal island of Lamu, with accents of deep red and purple to honour the great Maasai chiefs and warriors. 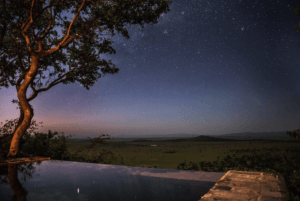 Guests at Mara Plains have privileged access to more than 100,000 acres home to a vast number of wildlife species from lions and hippopotamus to giraffe and birds of prey, offering an exclusive and luxurious edge to the experience. Great detail: Upon arriving at the camp, you walk across a bridge over the river, through a thick, riverine forest, up a small slope to some giant steps, greeted by a stunningly endless horizon. Magical! The Segera Retreat is one of Kenya’s most exciting safari locations. 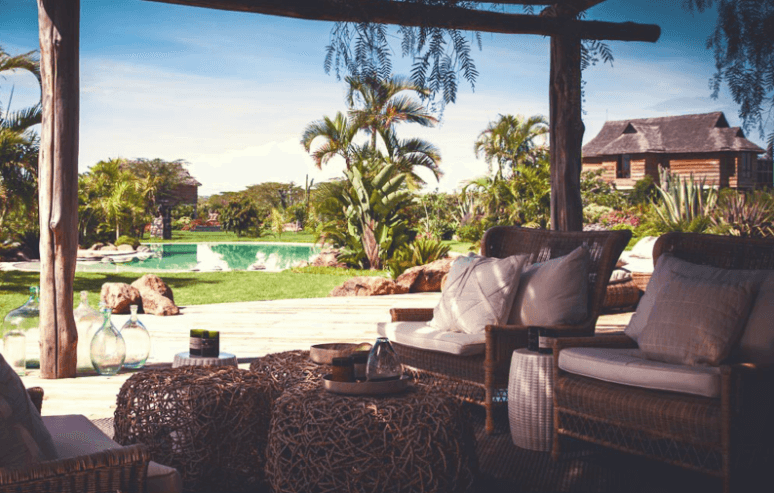 Luxury is key here, bespoke service and generous all-inclusive offerings combine to give you your own wild Kenyan home. Today Segera is a treasured haven for Kenya’s wildlife, offering an authentic safari experience from the moment you arrive. Segera’s golden savannah plains, rocky waterfalls and tropical botanical gardens offer visitors the perfect escape from reality. Great for: Segera retreat is a perfect option for the more environmentally-conscious traveller. Its solar installations allow for soothing outdoor baths, and even the rain water is recycled. The deliciously fresh homegrown vegetables feature daily on the food menus, which over the past decade have brought a new lease of life back to the previously degraded land they grow on. Want unbeatable dinner views? Look no further than Crater Lodge. Whilst of course the vistas are its main appeal, we have to say that the architecture of the lodge also takes centre stage. Imagine an elegant baroque chateau within one of the most famous African landscapes, anything is possible and the natural luxury of the breathtakingly beautiful setting nestled on the rim of the Ngorongoro Crater. Added benefits include ample fireplaces, views from all windows, in room massages and more! Great for: Local development. The lodge provides jobs for locals, with fair wages and a staff development program which enables employees to rise through the ranks with 90% of the lodge’s staff from Tanzania itself. The lodge’s Community Leadership Education Fund also offers educational scholarships to local students, and it recently supplied 40 new desks to a nearby secondary school. 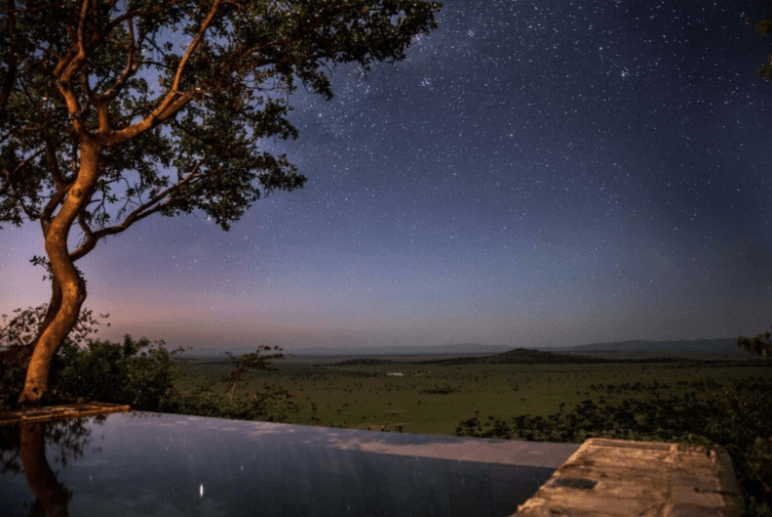 Singita Sasakwa Lodge forms part of the Serengeti Mara ecosystem. The view from the lodge’s spacious veranda looks out over the majestic Serengeti plains below. 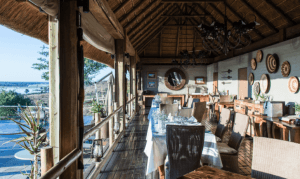 From this superb vantage point, it’s easy to become absorbed in the abundance of wildlife, including the annual migration of zebra and wildebeest. The lodge itself is beautifully decorated throughout in turn-of-the-century manor house style. The overall effect is a blend of authentic European style and East African influences. Great for: Extra activities. Don’t miss out on the stargazing, tennis, mountain hiking, archery, swimming pool, spa, community visits as well as a safari and wine tour. Kadizora Camp is situated between the Vumbura River and Selinda Spillway. 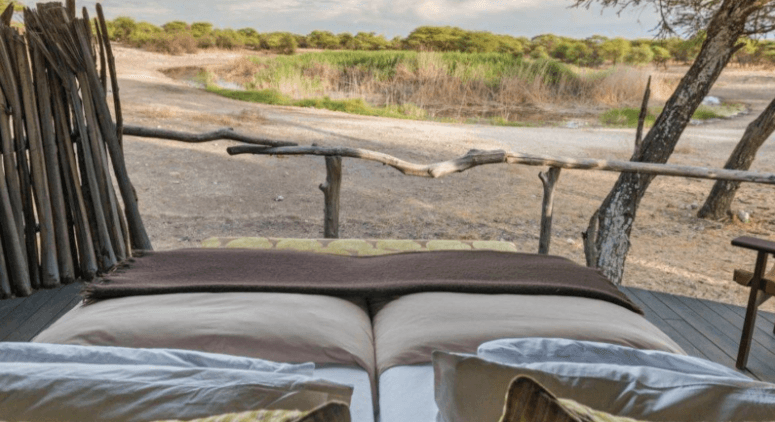 It lies in the remote northern part of the Okavango Delta overlooking a panoramic seasonal floodplain. The bar, lounge, reception and dining area form a horse-shoe shape around the sandy fire pit, so evenings within the camp are relaxed and sociable. From there, a decked walkway leads you to an inviting swimming pool with a stunning view over the floodplain. Kadizora Camp also offers open vehicle safaris, walking safaris and boating (more specifically “Mokoro” excursions). There is the option to arrange a day trip to a traditional village. Visit the church, the clinic, local primary school and meet family members of the camp staff. 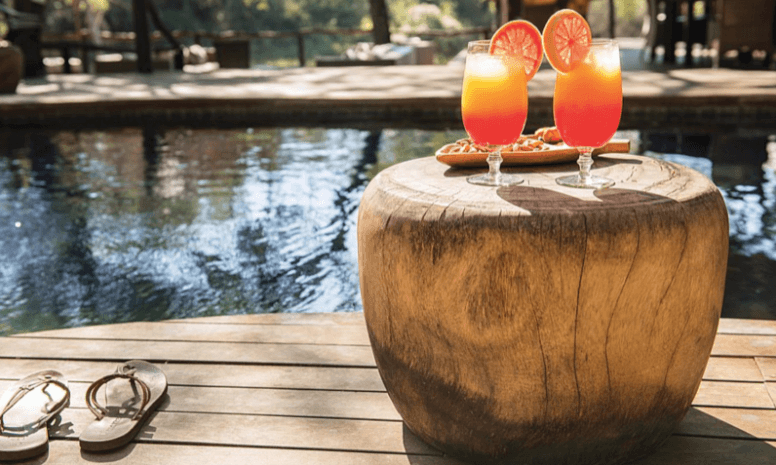 The Kadizora Camp offers the ultimate Okavango Delta experience, with a wide range of activities, a beautiful location, diverse wildlife and warm, local hospitality. Exclusive offer: Kadizora is the only camp in the Okavango Delta to offer hot air ballooning. You have the option of booking an early morning hot air balloon flight to soar over the Delta at sunrise and view game from above. Perfect for a honeymoon or just to make a wonderful memory! 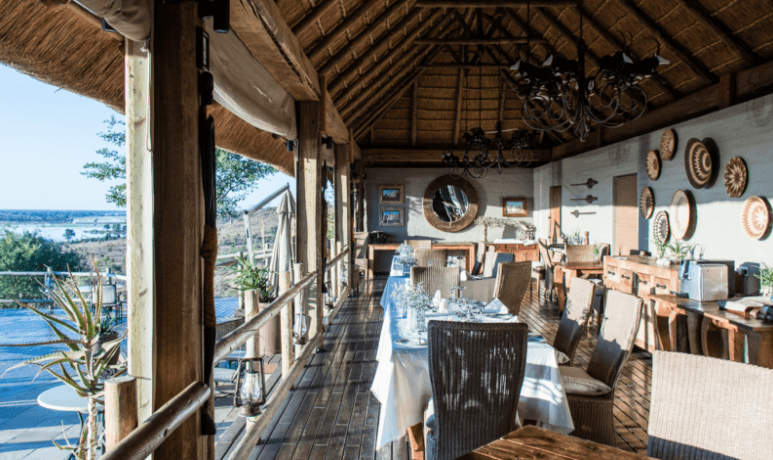 This boutique lodge offers unrivaled panoramic views over the game-rich Chobe River and floodplain, and is on the doorstep of Chobe National Park, also known as Land of the Giants, as it is home to the largest herds of elephants on Earth. Great for: Decor. Ngoma Safari Lodge is built of natural materials which blend seamlessly with the surroundings. The central area of the lodge houses the lounge, dining room, bar and a plunge pool. 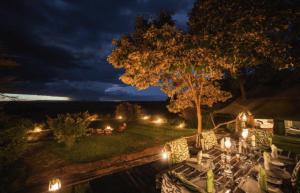 A well-positioned viewing deck provides a perfect setting from which to enjoy a beautifully prepared evening meal with views over a floodlit waterhole, where you can watch elephants and zebra bathe. The lodge has eight luxurious private suites, two of which have Indian day beds. Upon arriving at The Fort, you will be received by not only by friendly staff, but also massive raw walls, stunning stone cladded features and a huge tower with views toward Etosha and Fisher’s Pan. Onguma Game Reserve is one of Namibia’s best kept secrets, here you have the opportunity to experience Africa in all its beauty and diversity. Enjoy game drives on Onguma Game Reserve, and drive into Etosha National Park to enjoy mingling with various game in the largest national park in Namibia. Various waterholes in and around Etosha ensure fantastic photographic opportunities and the thrill of seeing some of the largest mammals in the world, so don’t forget your camera! The nature reserve boasts over thirty different animal species consisting of plains game including kudu, giraffe, eland, oryx, hartebeest, zebra, impala and many more roam freely as well as predators such as lion, cheetah, leopard, being common residents of the area. The latest addition to on the Onguma Game Reserve is a family of black rhinos! 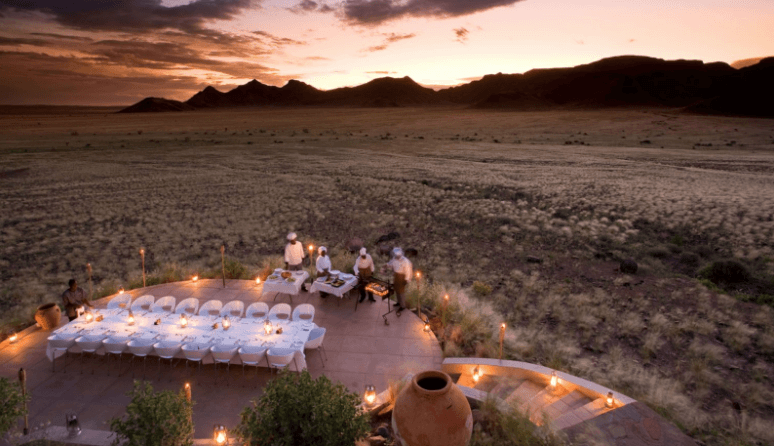 Surrounded by the mountains and sand dunes of the Namib Desert, Sossusvlei Desert Lodge is an escape to the world as it should be. Nestled deep in the heart of Namibia’s ancient Namib Desert in Southern Africa, the lodge is a secluded and serene oasis that overlooks awe-inspiring dunes and stony outcrops. An escape situated in a landscape of vast spaces, endless horizons and rugged mountain heights, the lodge prides itself on its utter tranquillity and picture-perfect setting. In this spectacularly beautiful location, spacious and serene suites envelope guests in pure indulgence, complete with an outdoor shower and a dramatic skylight over the bed for late night star-gazing. If you’re up for something more active, quad biking adventures, hikes and walks will let you explore the surrounding scenery and satisfy your sense of adventure. Each evening you will be invited to join resident astronomers as they unlock the mysteries of Namibia’s skies in the lodge’s state of the art observatory. The observatory presents the ideal place to gaze in awe at the wonders of the clear desert sky as resident astronomers point out the brightest and most beautiful constellations, the vast Milky Way and distant mysterious planets. Beneath the shade of ancient Ebony and Leadwood trees, the tranquil haven of Dulini is enigmatically embraced by its rich riverine setting. There is a restorative quality to the peaceful atmosphere of the camp, on the banks of the Mabrak River. The symphony of bird song and the passage of wildlife add to the allure of Dulini. 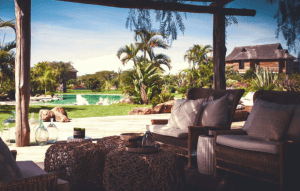 The main lodge is furnished with deep couches and contemporary African accents surrounding the cool veranda, with views to the wilderness beyond. The spacious accommodation with private plunge pools and interiors that epitomise romance, with canopies of mosquito nets and beautiful bathrooms. Each suite offers a, private view of the riverbed, seamlessly integrating the grandeur of nature and elegance of décor. A welcoming atmosphere of laid back luxury creates a place of conversation and laughter, while the extensive library of books accommodates those more inclined to quieter contemplation. With the teeming biodiversity of the Sabi Sand Game Reserve, no two game drives are ever the same. Trackers and rangers partner in looking for fresh animal tracks and sensitively follow elusive animals into ravines and through thicket to ensure your vivid and exhilarating wildlife encounter. The Dulini field guides are well-versed in creating a memorable safari and will endeavour to position the vehicle for the best photographic opportunities for guests. Owner-managed and run, Jamala Madikwe, Royal Safari Lodge offers an intimate bush experience. The lodge successfully combines colonial style and African eccentricity. Set in the pristine 75 000 hectare malaria-free Madikwe Game Reserve, Jamala Madikwe is the ideal place for the ultimate safari experience. Including sighting of the Big 5 and Super 7. Madikwe Game Reserve is known as one of the best conservation areas in all of Africa, at Jamala Madikwe you will get to experience this diverse and rich ecosystem with over 130 mammal species and 300 bird species not to mention the vast landscapes of plant life. 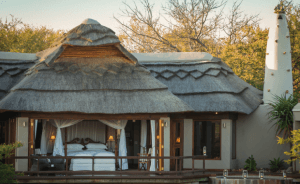 Jamala Madikwe is just five freestanding luxurious villas. Each is fully air-conditioned and offers superlative luxury and intimate privacy combined with extravagant outdoor facilities which include individual rim-flow pools and salas, expansive wooden decks and private outdoor showers. The Jamala Madikwe villas exude colonial charm perfectly suited to a luxury safari experience. Award winning chef Nico Verster has designed a menu to excite the senses with an array of sensory delights. 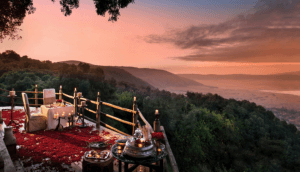 Jamala Madikwe was awarded the Best Safari cuisine in Africa 2014/2015. Food aficionados can indulge in modern gastronomic treats served with the chic colonial charm and grace. For more information and to book, contact the experts at Lekker Boutique Travel today!